You can never know in advance all the news that will move the market in a given week, but some things you can see coming. From a meaty quarterly report out of Apple to a belated deadline for a buyout of struggling PC giant Dell, here are some of the items that will help shape the week that lies ahead on Wall Street. Monday -- Stream On: Netflix (NFLX) has carved out a comfortable niche serving up streamed performances, so it was only a matter of time before it became its own feature presentation. Rather than serve up a bland earnings call where stuffy analysts ask even stuffier executives financial questions, Netflix is kicking things up a notch on Monday night with a live-streamed presentation of its quarterly earnings call. The event is billed as an "earnings interview" with CEO Reed Hastings and CFO David Wells discussing the quarter as BTIG Research analyst Rich Greenfield and CNBC's Julia Boorstin moderate the event. The numbers should be solid, as Wall Street's targeting revenue to grow 21 percent to top $1 billion with earnings more than tripling to $0.40 a share. Tuesday -- Sour Grapes at Apple: As well as things may be going at Netflix, it's an entirely different scene at Apple (AAPL). The country's most valuable tech company has seen its shares lose nearly 40 percent of their value since the day the iPhone 5 came out. Apple reports on Tuesday after the market close, and it's not going to be pretty. Revenue growth has slowed to a crawl, and analysts see revenue inching a mere 0.2 percent higher in its latest quarter. Things get worse on the way down to the bottom line, as Apple tries to remain relevant by selling older and cheaper iPhones and iPads that carry weaker margins. After several years of growth, Apple has hit a lull. Net income is expected to clock in 21 percent lower on Tuesday. Wednesday -- For Whom the Dell Tolls: The vote on whether or not to take Dell (DELL) private was supposed to take place this past Thursday, but the struggling PC maker hit the escape key. Facing a large number of investors withholding their votes in a process where silence is as good as a no vote, Dell extended the voting deadline by six days. Founder Michael Dell has teamed up with a private equity firm to buy out his company at $13.65 a share. The $24 billion deal has been backed by a couple of investor advisory firms, but billionaire investor Carl Icahn and other notable stakeholders feel that Dell is worth more than that. If the deal gets voted down on Wednesday, the shares will probably drop sharply unless somebody offers up a better deal. That hasn't happened yet. Thursday -- Playing Games: One of the more disappointing IPOs of 2011 was Zynga (ZNGA). The company behind Words With Friends and FarmVille went public at $10, only to lose two-thirds of its value. Despite the growing popularity of social and casual games on mobile devices, Zynga has struggled to grow its bookings. Casual gamers can be fickle, and they tire of free-to-play apps too quickly. Zynga turned heads earlier this month when it hired Microsoft's (MSFT) Xbox boss Don Mattrick to be its new CEO, giving the shares a rare bounce. Now it will be up to the new helmsman to convince investors that things can change, and the spotlight will be on Mattrick when Zynga reports on Thursday. The look back won't be fun. The pros expect to see a quarterly loss on a steep drop in revenue. The key on Thursday afternoon will be how well Mattrick sells the future. Friday -- Hotel Guests Have a Choice: The economy is showing signs of life, and one of the many beneficiaries will be the lodging industry. Between families with more disposable income looking for getaways and companies displaying a renewed willingness to splurge on corporate travel to drum up new business, hotels and motels around the country have been hoping that the recovery sticks this time. We'll get a fair glimpse of the industry on Friday when Choice Hotels (CHH) reports in the morning. Choice franchises more than 6,200 value-priced hotels under several brands including Comfort Inn, Quality, and Clarion. The market will check out the financials before deciding whether to check in or check out of the stock. 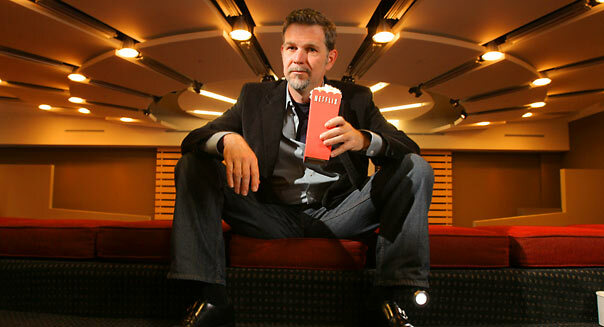 Motley Fool contributor Rick Munarriz owns shares of Netflix. The Motley Fool recommends Apple and Netflix. The Motley Fool owns shares of Apple, Choice Hotels International, and Netflix. Try any of our Foolish newsletter services free for 30 days.